Art can be expressed in various ways. 3D drawing is one of them. 3D drawing allows you to create an art that can resemble the objects in real life. Creating 3D objects can be more complex and more difficult than creating 2D objects. But, the results that you get from it will be better. It will be more lifelike, and you can use it to present a more believable art to the world. Not only that, 3D drawing is needed in many industries to help produce various 3D models of objects. This is especially true in the construction, medical, and creative industries. 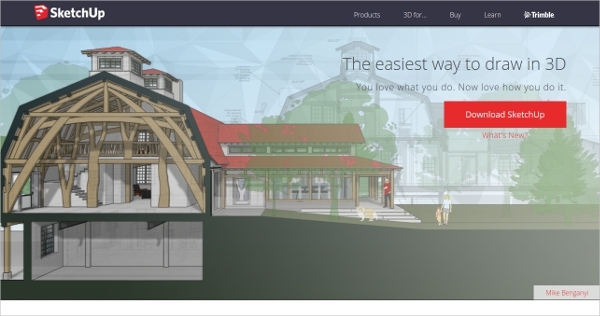 SketchUp offers the easiest way for you to draw in 3D, allowing even beginners to start their creative artwork. This software allows you to learn about 3D drawing quickly, turn your models into documents, find a 3D model of anything, and customize your 3D drawing. It supports Windows and Mac platforms with the latest OS installed. 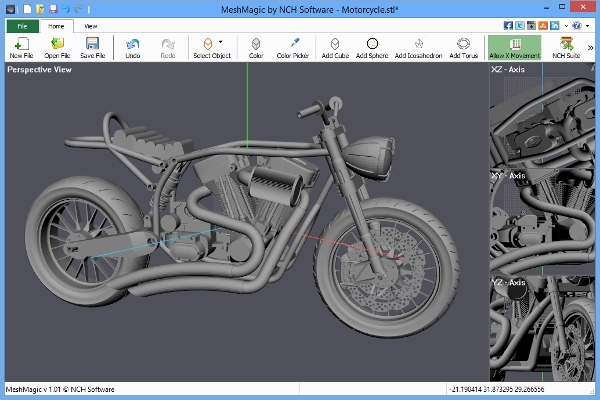 MeshMagic is a free and easy 3D modeling software that allows you to view and edit 3D renderings and 3D files. It features select entire objects, delete selected items, intuitive 3D design, modify STL files for printing, create 3D renderings, transform 2D into 3D, and colorize 3D objects. This software is available for Windows, both 32-bit and 64-bit versions. Daz 3D helps you to create stunning 3D visuals with the available Daz 3D assets. This software can be used in Hollywood productions, book covers, visual effects, freelance art and design, character design, and independent film. This software is available for Windows and Mac devices. 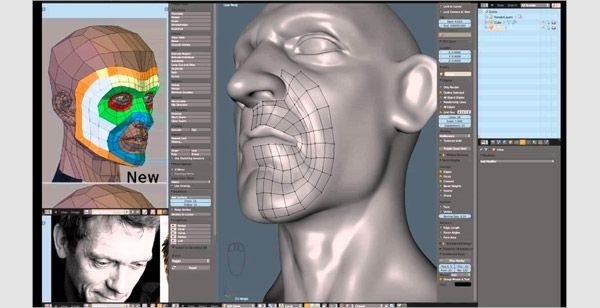 Meshmixer is a 3D drawing software that allows you to work with triangle meshes. It offers various features, including drag-and-drop mesh mixing, 3D sculpting, surface stamping, support for 3D printing, 3D patterns and lattices, hollowing, and 3D measurements. This is a free software that is available for Windows, Linux, and Mac OS X. Blender is an open source 3D drawing software that allows you to create 3D photo-realistic model and rendering. It features fast modeling, realistic materials, fast rigging, animation toolset, sculpting, fast UV unwrapping, full compositor, amazing simulations, game creation, and video editing. It is available for Windows, Mac, and Linux. 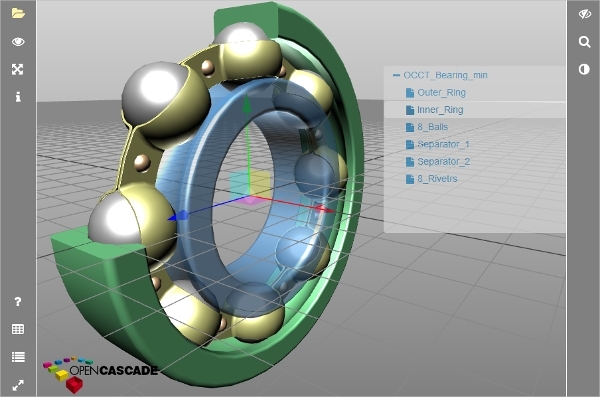 OpenCascade is a 3D drawing software that can be used for 3D engineering, 3D manufacturing, and 3D post-production. It offers geometrical 3D modeling, high performance visualization, CAD data processing, numerical simulation environments, interoperability with piping and plant design, and media gallery. It is available for Windows, Mac, Linux, Android, and iOS. 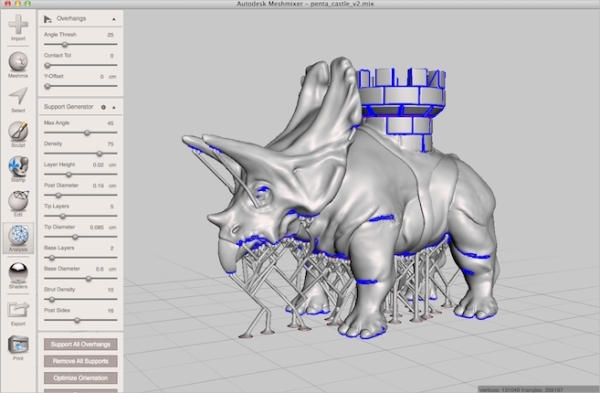 123D is a 3D drawing software that allows you to turn your ideas into 3D in the simplest way. It supports most 3D printer models, with various models and tools available for immediate use. This software is compatible with Windows, Mac, and iPad. 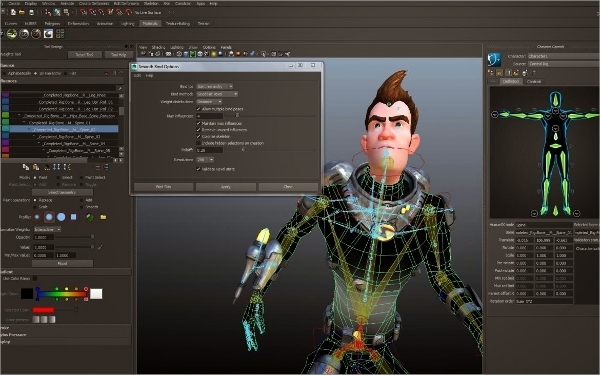 Maya is a 3D animation software that offers comprehensive 3D animation capabilities, such as modeling, rendering, texturing, simulation, and animation tools. It features motion graphics, dynamics and effects, 3D animation, 3D modeling, 3D rendering and shading, and pipeline integration. This software is compatible with Microsoft Windows, Mac OS X, Red Hat Enterprise Linux, and CentOS Linux. 3D drawing software is compatible with most Windows operating systems with high hardware requirement, as well as Mac OS X and other platforms. It is also available on mobile devices. FreeCAD is a parametric 3D modeling software that allows you to model 3D real-life objects easily. 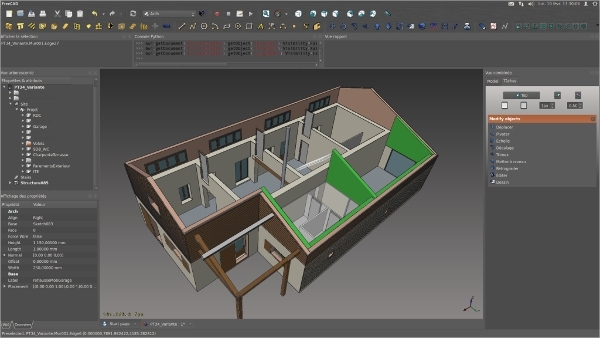 It features full-parametric model, modular architecture, import and export to standard formats, sketcher, robot simulation, drawing sheets, and rendering module. 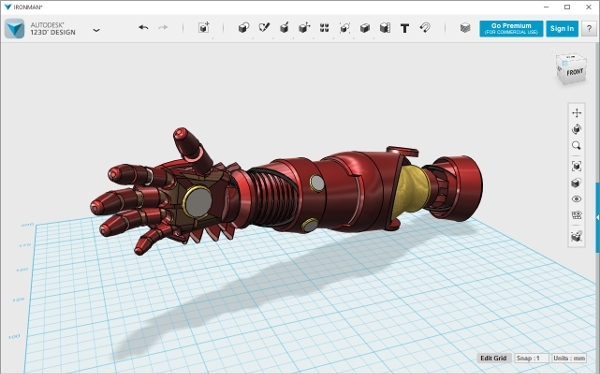 It is available for Windows, Ubuntu, and Mac OS X.
Spacedraw is an Android app that allows you to create 3D models directly with your Android devices. It features 4 touch points, draw freehand lines, rotate and change view, adjust splines, create various 3D shapes, various parameters, and auto-align. 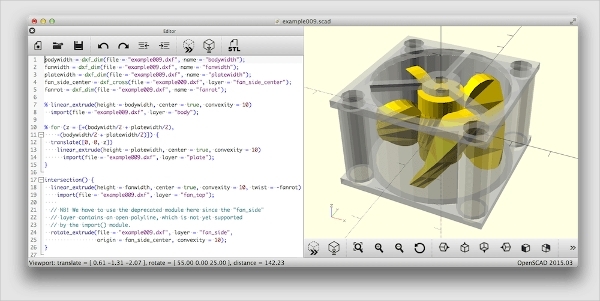 OpenSCAD is a 3D drawing software used to create solid 3D CAD objects. This software focuses more on the CAD aspect of your 3D design, rather than the artistic aspect. Thus, it is more suited to be used for CAD programmers rather than artistic designers. This software is available for Windows, Mac, and Linux. 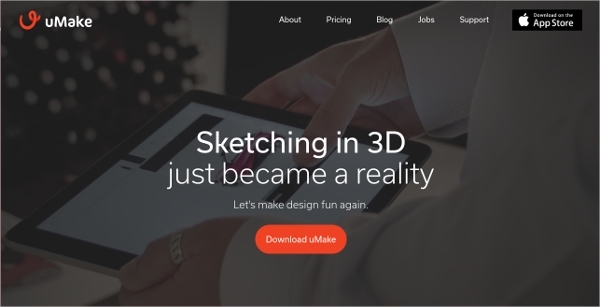 uMake is a 3D sketching software available for iPad. This app offers various features, including sketch planes, symmetry, surfaces, extrude and revolve, and array. It allows you to express your ideas in the most intuitive way, with the next generation design tools. AutoDesk Fusion 360 is a complete 3D drawing and designing software that allows you to design, engineer, and simulate any 3D objects. This software allows you to manage your design projects with your team, allowing you to use the power of the cloud to bring your design ideas into reality together. It is available for PC and Mac, and it is free to use if you are a student, enthusiast, hobbyist, or startup owner. What is 3D Drawing Software? 3D drawing software is the type of software that allows you to create, draw, and design 3D objects. This software can be used for 3D rendering and animation as well. 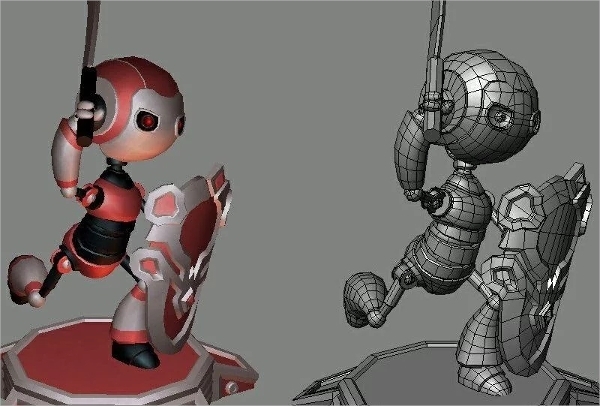 This is the type of software that is used to create 3D objects in book covers, Hollywood movies, games, and 3D animation movies. With this software, you can draw any 3D objects directly on your computer, and you can also print your 3D objects easily. How to Install 3D Drawing Software? Most of 3D drawing softwares require you to have a powerful device to run it. For instance, if you have a Windows computer, you need to have a high-performance hardware in order to run this software smoothly. Using the latest version of the operating system is also recommended. To install the software, you have to download the installation file from the official website of the respective software, and then run the installation file on your compatible device. Creating a beautiful 3D art or design can be done only by using the best 3D drawing tool. Without the best 3D drawing tool, you might not be able to fully put your design ideas into reality, the way you have imagined it. So, it is important for you to pick the best 3D drawing software if you want to create stunning 3D design arts and truly unleash your creativity. The better the software, the more design options, and features that you can use to enhance your 3D drawings and make it look beautiful and awesome.